In the past 10 years, Long Island restaurants must feel as if they've aged a century. And diners who started the decade with favorites definitely have new ones. Book ended by national tragedy and economic upheaval, the 2000s began and concluded as a time when you didn't always want to dine out. But there were plenty of exceptional openings to balance all the hard closings. Supply and demand rule. The North Fork Table & Inn in Southold elevated dining on the North Fork, a region that in 2006 immediately grew beyond its steamed-lobster and clam-chowder identity. Other notable east-of-Riverhead openings:Scrimshaw and The Frisky Oyster, which continue in Greenport; Jedediah's and the Jamesport Manor Inn, both in Jamesport; and A Mano in Mattituck. The Fifth Season, which opened in Greenport, now is in Port Jefferson. Mirabelle, the four-star French of St. James, closed and then reopened at the Three Village Inn in Stony Brook. Mirabelle spawned a more casual star, Mirabelle Tavern, also at the Inn. Kitchen A Bistro stayed in St. James, but at the old Mirabelle site. Alexandros, formerly of Miller Place, relocated to Mount Sinai. And Starr Boggs' found new quarters in Westhampton Beach. Montauk went well beyond basic lobster with the stylish arrivals of The Harvest on Fort Pond and East by Northeast; Inlet Seafood and Fishbar on the Lake; and the revival of dining at the Montauk Yacht Club with Gulf Coast Kitchen. Long Island welcomed two branches of Legal Sea Foods, at Walt Whitman Mall in Huntington Station and at Roosevelt Field in Garden City. Morton's beefed-up the steak-row sweepstakes on Northern Boulevard in Great Neck. Bobby Flay flipped his Bobby's Burger Palace into Smith Haven Mall in Lake Grove. The Lake House elegantly signaled a new wave in Bay Shore, just as 18 Bay did in Bayville. Soigne boosted the cuisine of Woodmere. Bistro M became an obligatory New American stop at the Glen Head train station. On3 continues to excel there, too. 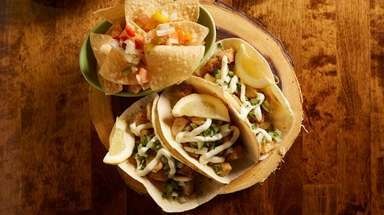 Besito significantly upscaled Mexican restaurants with branches in Huntington and Roslyn. The stylized, dramatic Four Food Studio made at least one stop on Melville's Route 110 mandatory for diners. Blackstone Steakhouse made it two. Long Island's most popular cuisine became more authentic with Luigi Q in Hicksville, La Tavola in Sayville, Novita in Garden City, Nonnina in West Islip and Osteria Toscana in Huntington. Cafe Buenos Aires, with its spirited tapas and Argentine specialties, gave Huntington a new, vibrant choice, as the village became Suffolk's restaurant hub. So did Honu Kitchen & Cocktails, a gathering place full of buzz and flavor. Likewise, this year's Porto Vivo and 2000's Red. The Bohlsen family influenced local dining with fine restaurants as different from each other as Prime in Huntington and H2O in Smithtown. The Poll family offered the decade's most opulent and inspired Asian-influenced entry, Toku in Manhasset. Very expensive restaurants arrived during the economic bubble. The laughably gouging Nello Summertimes fleeced the faithful in Southampton. Respectable Il Mulino, resident of Greenwich Village and Las Vegas, among others, established a pricey foothold in Roslyn. Across Northern Boulevard, the mega-Greek restaurant Limani turned a car dealership into a temple of seafood. Limani got competition earlier this year as Trata Estiatorio, which has dining rooms in Manhattan and Water Mill, opened a grand establishment in Roslyn. 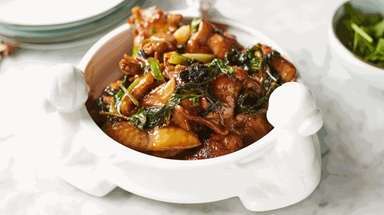 The Orient in Bethpage became one of Long Island's increasingly rare commendable Chinese restaurants. SriPraPhai, the Thai magnet of Queens, opened a branch in Williston Park. Jai-ya moved its lively Thai spices from Elmhurst to Hicksville. Hicksville also benefitted from the opening of Asian-fusion West East Bistro. Dao started crossing borders in Huntington. 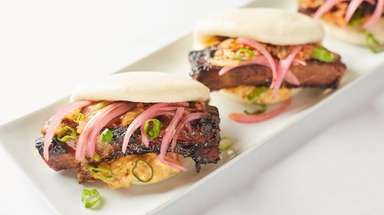 The high-risk, high-reward Lola opened in Great Neck as the new showcase for chef and foie-gras king Michael Ginor, whose kosher Tel Aviv also now is a popular mainstay. Michael Maroni started his ongoing experiment at Maroni Cuisine in Northport, where the tasting menus soar - and the meatballs that won a "Throwdown with Bobby Flay" keep on coming. Restless chef Tom Schaudel, who opened A Mano, had a busy decade with CoolFish, still in Syosset; a brief association with the ongoing Thom Thom in Wantagh and Jedediah's in Jamesport; and short-lived eateries such as Tease, PassionFish and EVO. Oscar's of St. James became O's Food & Wine Bar, switching to tapas. Snaps, a Wantagh star, turned more casual and homey. Palio, which debuted in the former quarters of Capriccio in Jericho, earned three stars, but retooled with the economic downturn. It's Roslyn's double-decker Landmark. You won't miss it. The obituary list is long. The historic Maine Maid Inn in Jericho closed. So did the stellar Louis XVI in Patchogue, Navona in Great Neck, Stresa East in Woodbury, the Mill River Inn in Oyster Bay, Polo at the Garden City Hotel, and Villa Altadonna in Mineola and later Little Neck. The original La Pace in Glen Cove became, under new ownership, La Pace with Chef Michael. Exit L'Endroit in East Hills, 6 Degrees in Jericho, Maguro in Roslyn, Heirloom in Locust Valley, F.O.O.D. in Hampton Bays, The Seafood Barge in Southold, Ristorante Capri in East Hampton, Almoncello and Almondito in East Hampton, Payard in Manhasset, Tupelo Honey in Sea Cliff, North Shore Steak House in Great Neck. Adding to the departed: Cafe Diane in Woodbury and all those cozy restaurants in the old LIRR station in Water Mill, plus a few others at what used to be The Maidstone Arms in East Hampton. And Day Boat Cafe and Mio in Roslyn both burned down. Food trends of the past decade: How we cookOrganic, low-carb, fair-trade, vitamin-enhanced, whole-grain and gluten-free were just some of the decade's buzzwords. 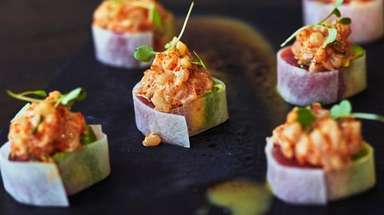 Food trends of the past decade: How we eatFrom the evolution of Chinese restaurants and tapas to the Middle Eastern and Mediterranean scene, a lot has changed in the food world since 1999.